Ras ir-Raheb is located on the west point of Malta. The dive site has a very interesting cave starting from the surface and reaching down to around 25 meters. Exploring the cave is quite an experience. The rock face outside the cave is nearly vertical - above and below water - starting to slope down to a sandy seabed at depths over 70 meters. 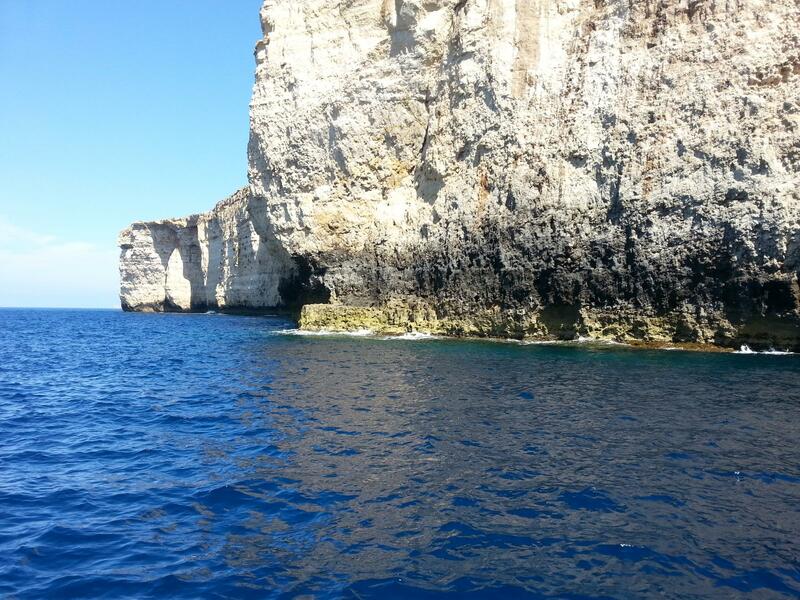 The location can be disorientating due to the clarity and the deep blue of the water, and it's exposed to strong currents, so Ras ir-Raheb is recommended only for experienced divers. ★★★★☆ I really enjoyed the cave and there was nice group of barracudas next to the wall.